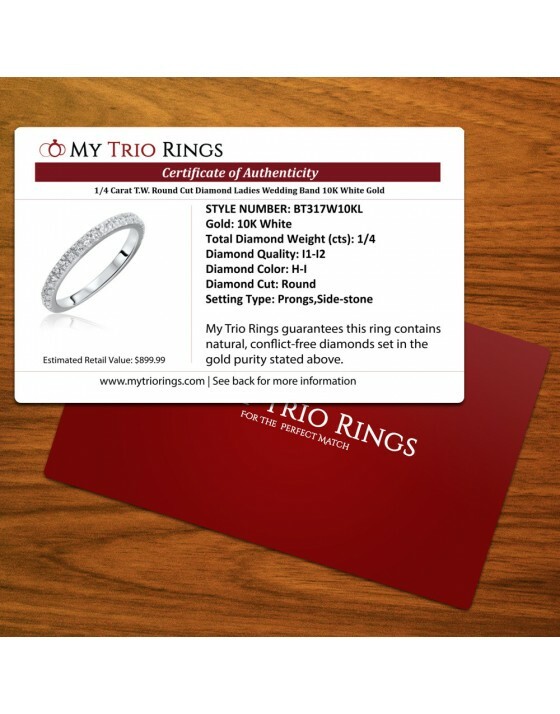 A marriage brings together two people who have common interests and individual personalities – and this ring set is the perfect fit! These his and hers wedding rings match each other with their sparkling 10K White Gold bands, but each person’s band has a distinct personality. 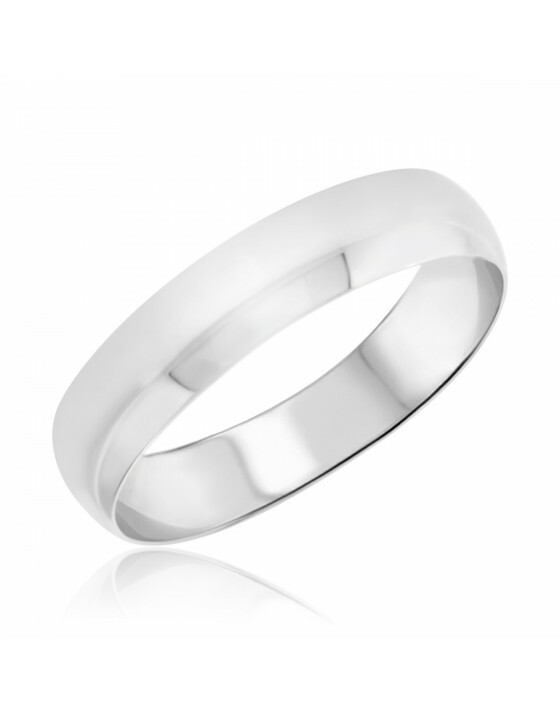 The groom’s band features an understated style, while the bride’s set shines with dazzling diamonds. Looking at this beautiful set each day will help you feel as special as you did the moment you got engaged. This engagement ring is a star just as she is when she walks into the room! It features a stunning amount of sparkle, with 21 Round Cut diamonds separated between solitaire and prongs & side-stone settings. 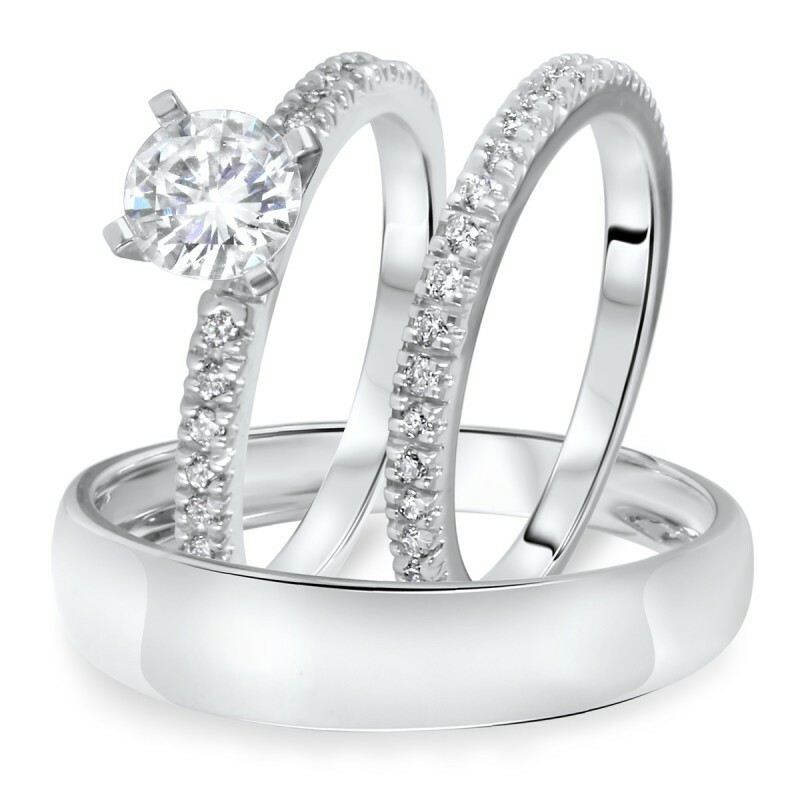 The center features a Round Solitaire that sparkles as much as the loving look in your eye. 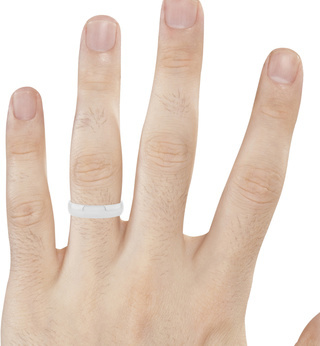 She is sure to feel loved and confident with this remarkable ring on her finger. 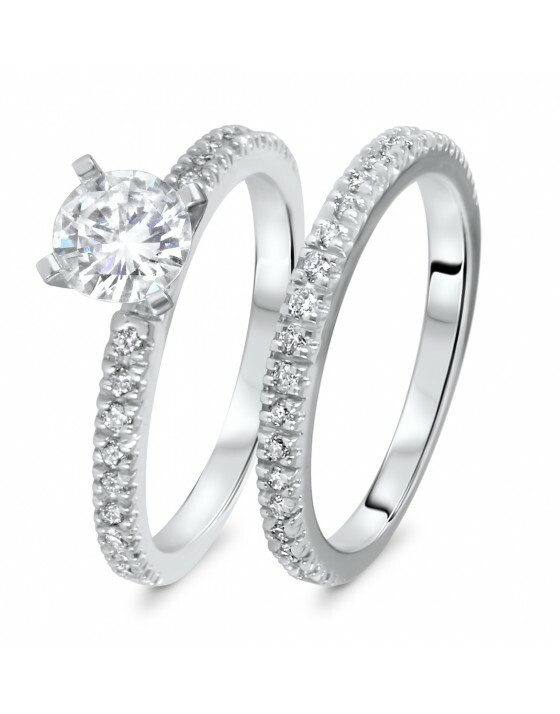 Complete the look of the engagement ring by adding this matching diamond ladies band to its side. 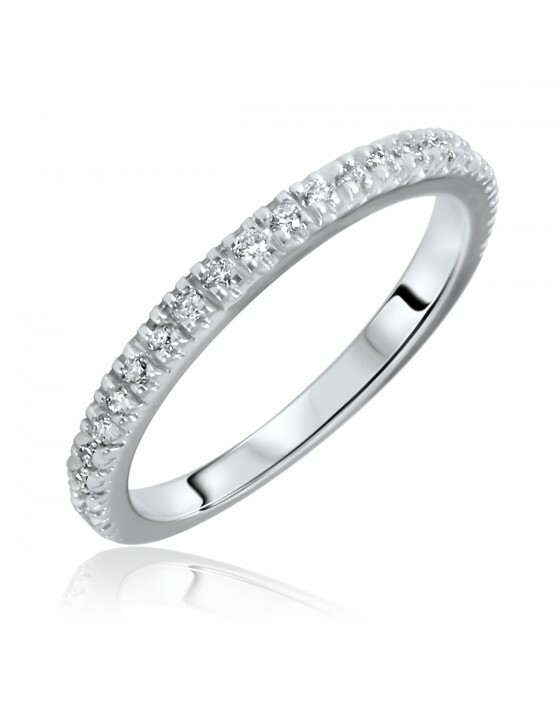 It features a thinner version of the engagement band with a row of shimmering diamonds set into 10K White Gold. 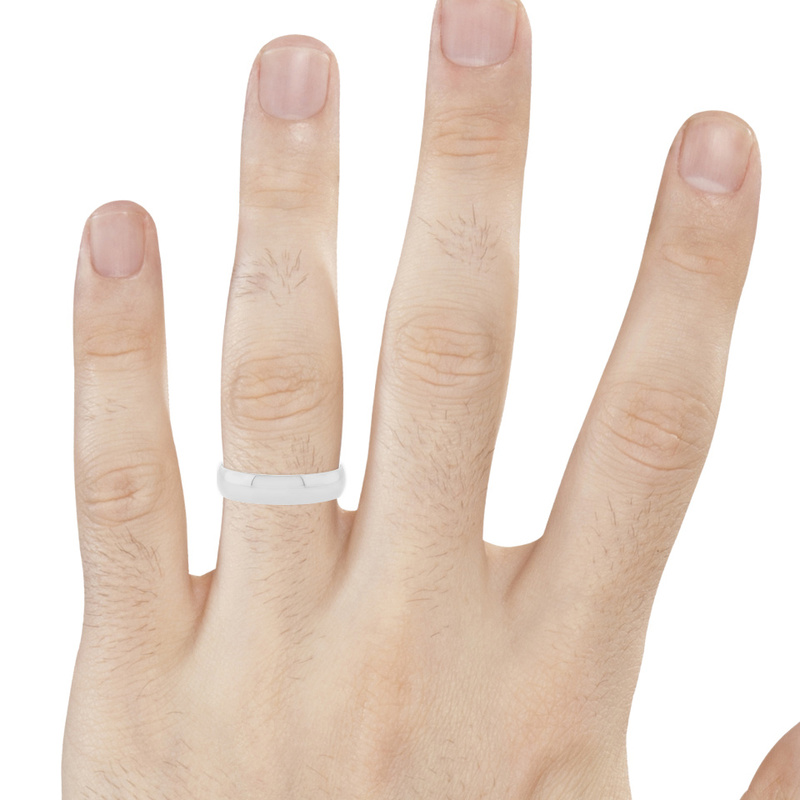 This ring provides the perfect way to commemorate your marriage with its mix of simplicity and significance.